Home Katiba Corner Judicial Service Commission: An enviable record, but for how long? Last week I discussed the rationale and functions of independent bodies under the constitution, as the fourth arm of the state. Now I discuss in detail the functions and structure of the Judicial Service Commission, and try to assess how far it has achieved its objectives. Like all independent bodies, it has three overriding objectives: to protect the sovereignty of the people, secure the observance of democratic values and principles by all state organs, and promote constitutionalism. Constitutionalism means, broadly, the protection and promotion of the constitution, particularly its values and principles, rights and freedoms of individuals and communities, restrictions on the powers of the executive and the legislature, the observance of the rule of law, and the authority of the courts to decide cases on the constitution. Since the courts have a wide ranging jurisdiction over the interpretation, protection, promotion and enforcement of the constitution, the role of the JSC in protecting constitutionalism is perhaps the most critical of all independent bodies. 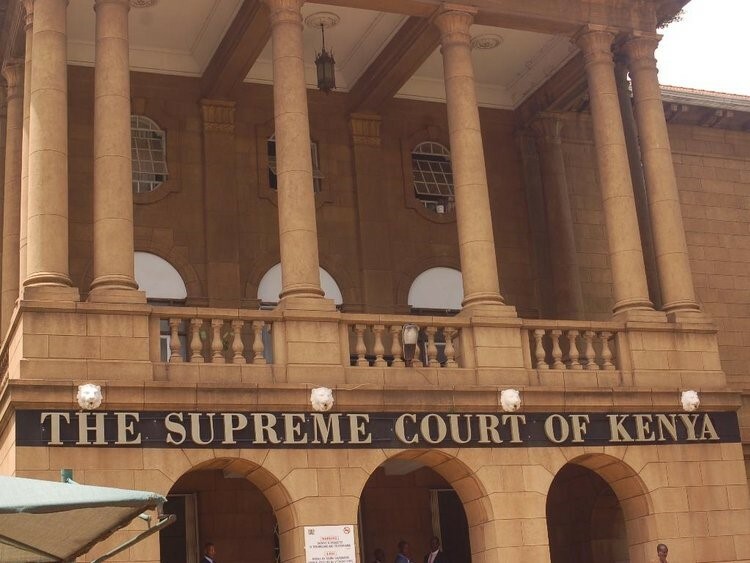 However, it is important to make the distinction between the JSC and the judiciary – criticisms of the judiciary are sometimes attributed to the JSC. Perhaps some confusion is caused by the fact that the Chief Justice is the head of both JSC and judiciary, and the Chief Registrar is the administrative head of both. JSC’s members consist of five judges and magistrates, the Attorney General, two advocates, one nominee of the Public Service Commission, and two representing the general public. At least three must be women (like all appointed bodies) –currently there are four. Lawyers are the largest group. Perhaps not the perfect balance, but a good attempt. Uniquely among commissions, appointments are mostly not owed to politicians. The AG and the chair of the Public Service Commission are appointed by the President (and approved by Parliament). The judge, magistrate and lawyer members are elected. Oddly the members to represent the public are chosen by the president and approved by Parliament. The functions of the JSC are set out primarily in Article 172. They are the promotion and facilitation of “the independence and accountability of the judiciary, and the efficient, effective and transparent administration of justice”. The independence, efficiency and accountability are secured by the JSC’s powers to appoint judges (free from influence of the President or the National Assembly except for appointment of the CJ and Deputy), deal with complaints about judges’ conduct and, where necessary, initiate the process for their removal. It has the power to remove magistrates on its own. So the judges are sheltered from the president. This did not happen when Kenyatta, Moi and Kibaki were presidents, which effectively destroyed their impartiality and independence – and ultimately the quality of their judgments. The JSC is also responsible for continuing education and training for judges and judicial officers, and for advising the government on improving the efficiency of the administration of justice. To cure a deep-seated malady, we need time. So with our judiciary – which had become totally discredited. A Commonwealth mission that advised the CKRC considered the judiciary extraordinarily corrupt and not particularly competent. An interim remedy was the vetting of judges and magistrates, a process that its chair, Sharad Rao, has confessed was a failure in some respects, as most of us know anyway. Given these circumstances, the JSC has done a good job, particularly in the judges that it has appointed, and the discipline it has begun to impose on judges. Curiously, many of the judges it has appointed to the High Court have turned out to be more learned, and committed to justice, than those in higher echelons. They are, with courage and impartiality, maintaining their mandate under the constitution. At most levels, the courts are rapidly developing good jurisprudence, worthy of, as Chief Justice says, a transformative constitution. The process of appointments has on the whole been transparent; and appointments inclusive, not only as regards gender. The JSC, although composed mainly of lawyers, has started removal proceedings against three judges: Baraza, Mutava and Tunoi. And it is looking into complaints against three others. Few other institutions have taken action against “their own”. Many judges are shedding their pomposity and are engaging with others. Judicial training, another responsibility of the JSC, is vital as never before, under the inspired leadership of Justice Joel Ngugi. Judges have now more interaction with judges and academics from other jurisdictions. More and more judges from the High Court and the Court of Appeal are showing up for workshops and seminars, to learn and to engage. Foreign visitors have been impressed. The credit for these tremendous achievements must, in considerable measure, go to Chief Justice Mutunga, for his vision, integrity, dedication, constant dialogue with the public, accessibility — and great learning — yet also willing to learn more. It is therefore with great alarm that many Kenyans learnt that he intends to retire early. They think that he owes them to stay on until he reaches 70 years of age, the retirement age. There are, as we know, remnants of old order judges. One cannot rule out some reversions to old practices – rumours are that that began some time ago. One notes with trepidation the number of cases that may come before the courts involving corruption — are we set for the Anglo-Leasing approach to justice, bonanza for the judges? I can say little on this, given the inquiry by a special tribunal on the allegations of corruption against a Supreme Court judge. But surely we should be alert, in general terms, to the danger. There is already much speculation in legal circles about the implications of what they think is a certainty: challenge before the Supreme Court following the next presidential elections. Questions are being asked if the President’s prevarication about the tribunal in the Tunoi affair had something to do with this. The government has shown a particular propensity to ignore court decisions it does not like — reprimands by the judiciary do not embarrass its officers. The DPP could certainly have done a better job. But at the moment the greatest threat is the President, who has shown little regard for the constitution and the law in the short period he has been in office. He has asserted, contrary to the law, that he has the right to reject the recommendations of the JSC of judicial appointments — and delayed for months the appointment of a number of them. He has prompted legislation that JSC must give him more than one name for appointment for the CJ, thus undermining their preferred choice and their discretion. The government has also failed to honour the constitutional guarantees to the JSC about its financial resources — and autonomy. Recently the President appointed two individuals to the JSC, meant to present the people, but one of them had been the secretary of his party, and others’ credentials are uncertain — but certainly there was no consultation as required by Article 10. This was the greatest threat to the independence of the JSC — complaints by a few of us were brushed aside by parliament. There is every reason to worry about the impact on judicial independence of this unholy alliance between the President and the National Assembly.